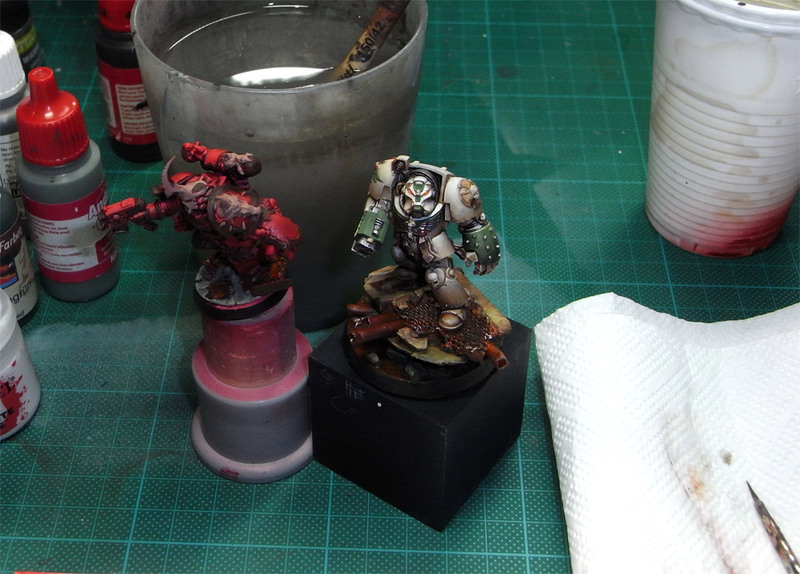 I am finishing some figures these days and prepare an article about beatiful speed painting with one of the new Games Workshop Chaos Space Marines. You will find the article soon, when the figure is done and I found the time to write it all down. Stay tuned this might be pretty interesting for some of you! Don't forget to stay bananalicious! We now are able to announce Octobre the 10th 2012 for bringing the contest online! Be ready as something like this has never been before!! Your Deathwing Terminator looks awesome. I'd really like to see your aproach in detail, because I chose to paint them too. How did you do the green on the terminator? The terminator painting scheme is delicious And the green detail on is helmet makes him Stand out! !